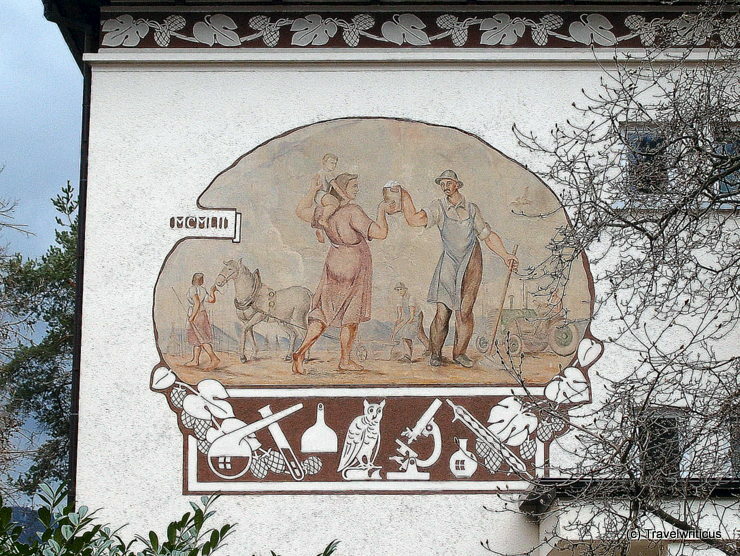 A pretty narrative mural on the Slovenian Institute of Hop Research and Brewing (Inštitut za hmeljarstvo in pivovarstvo Slovenije) in Žalec. This institute is located next to the museum about hop-growing and brewing industry in Slovenia (Ekomuzej hmeljarstva in pivovarstva). 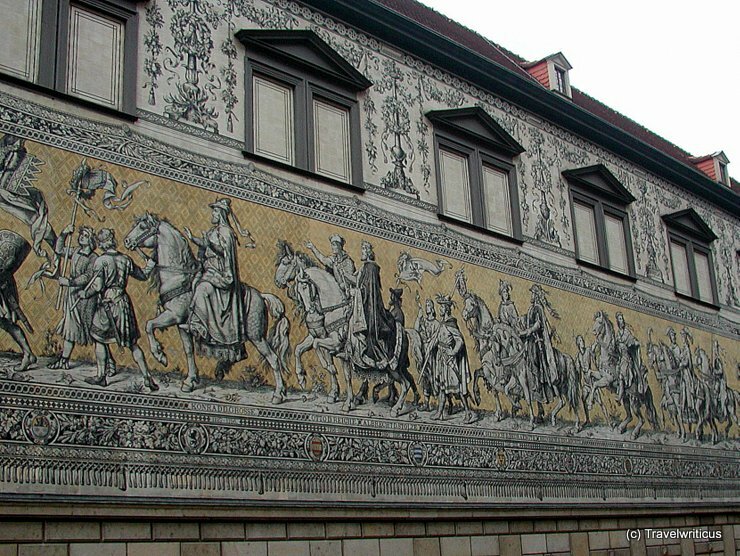 This mosaic near the main railway station of Graz was created by Norbertine Bresslern-Roth (1891-1978). She is regarded as one of the most famous animal painters worldwide. 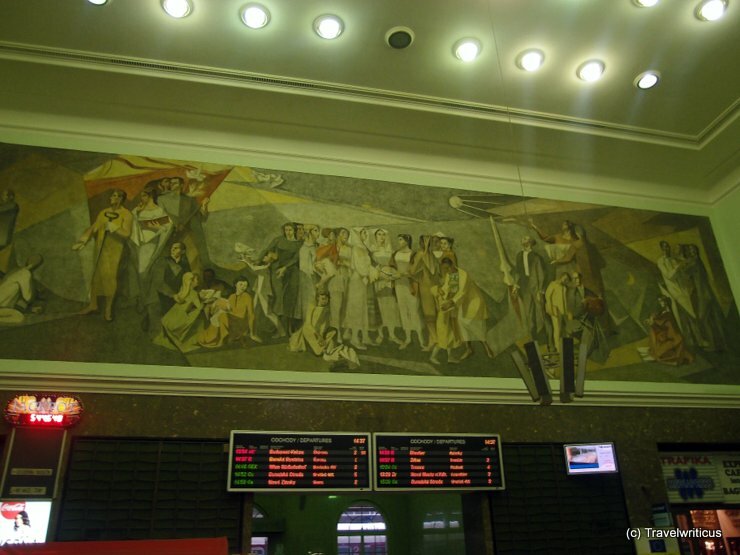 Some of her works are displayed at the Neue Galerie in Graz. 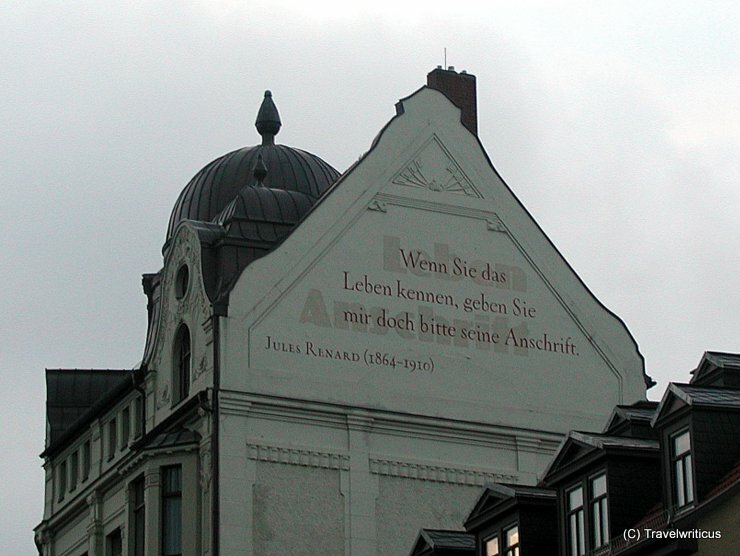 In the first moment I was surprised to see embrasures at this edifice of the former curacy but later I learned the Baroque building was erected on top of the walls of a former defence tower. 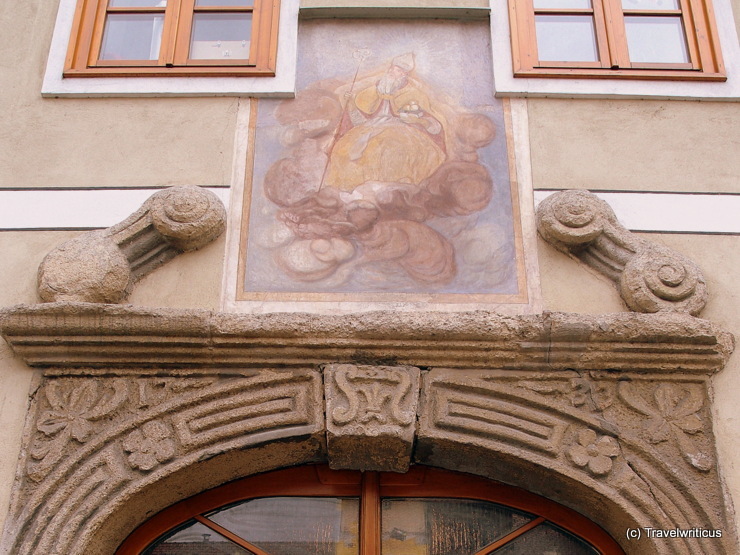 The fresco above the richly ornamented portal depicts Saint Nicholas, to whom the nearby church is consecrated. 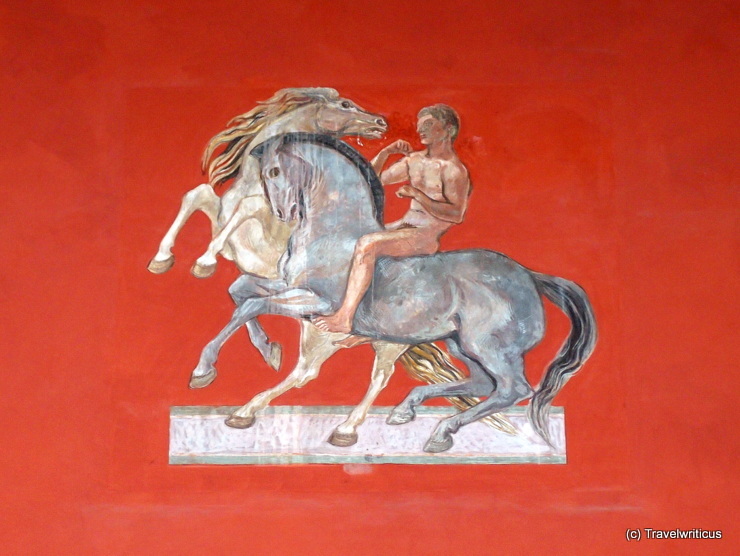 This is one of numerous murals you can find in the columned hall of the Palais Toerring-Jettenbach in Munich. This building, also known as the Palais an der Oper, is located at the Max-Joseph-Platz next to the Munich Residence and to the Bavarian State Opera. 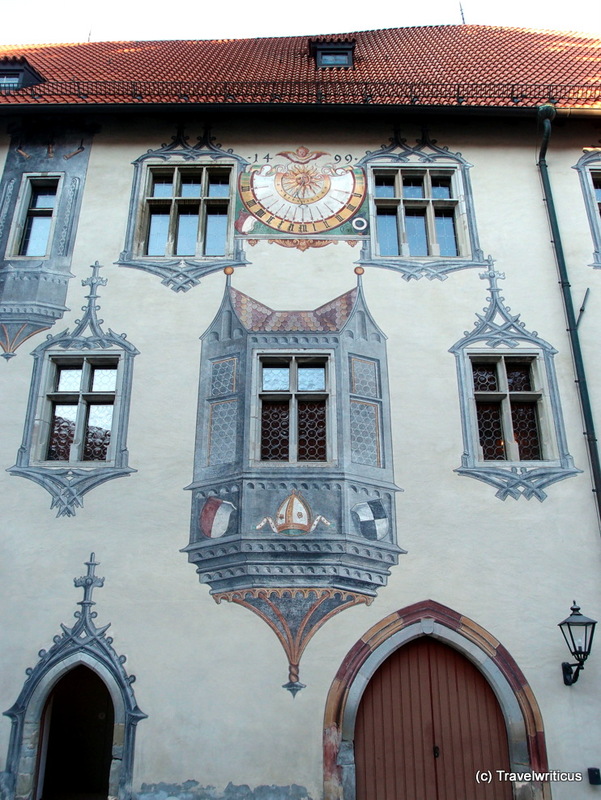 The High Castle (Hohes Schloss) in Füssen is known for its walls decorated with a 15th-century Trompe l’oeil. 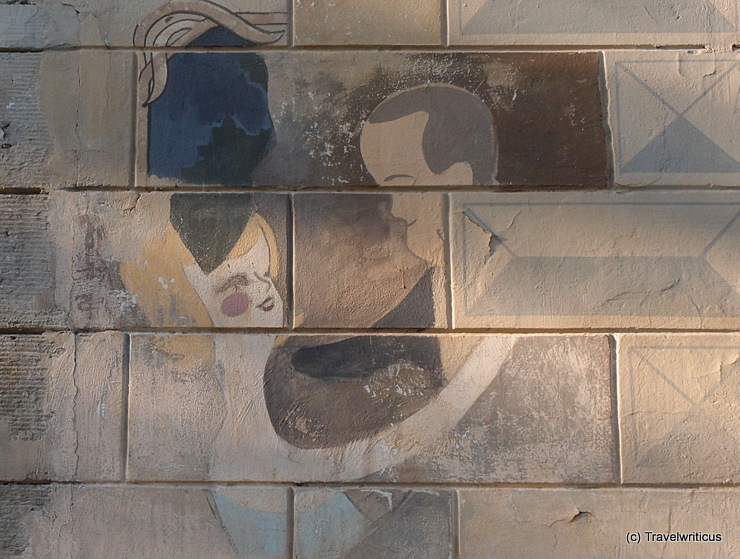 Personally, I was impressed by a couple of ‘painted’ oriel windows which give the castle a surreal touch. 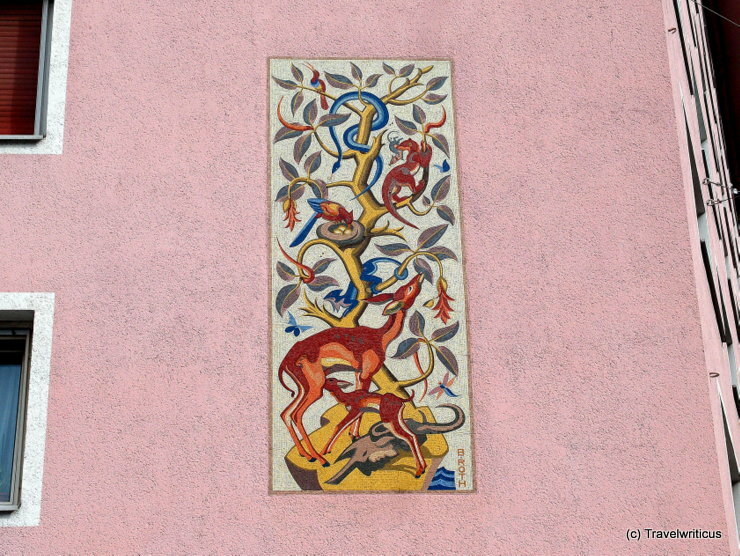 I did know Füssen is known for a lot of amazing Trompe-l’œils on the walls of the High Castle (Hohes Schloss). 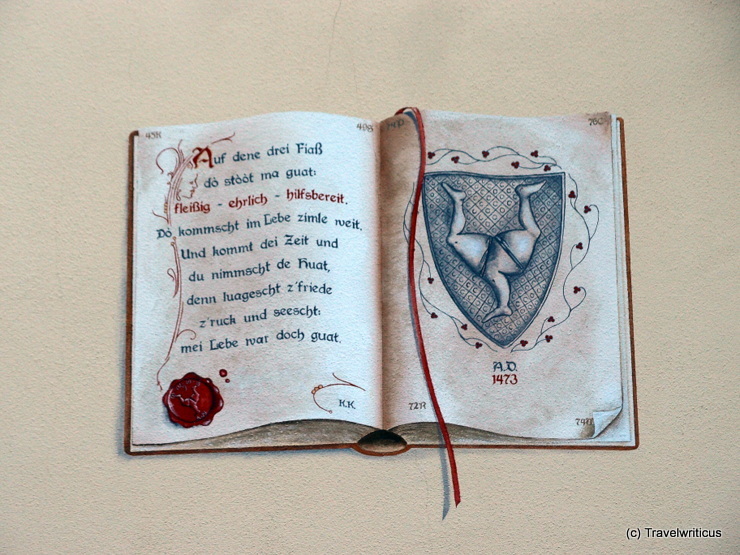 Though I was surprised to see in the streets of Füssen such an impressive Trompe-l’œil featuring a book. In this depiction, the three legs of the city arms are linked to the character traits diligent, honest and helpful (fleissig – ehrlich – hilfsbereit).